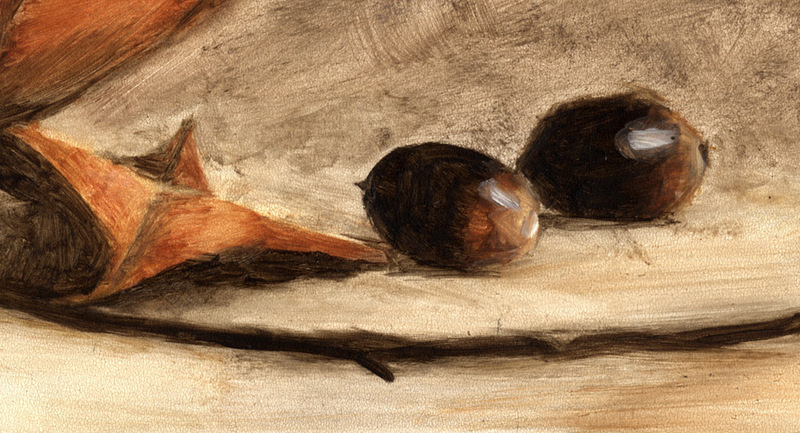 6" x 6" Oil on Masonite - The remaining three pear tree paintings were not originally meant to be hung together but it just seems to fit. 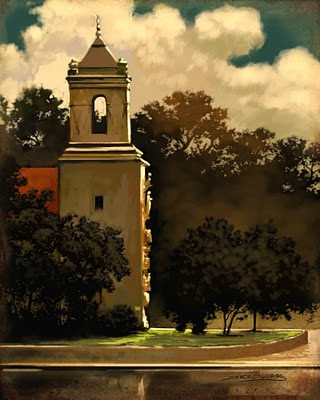 This is a digital painting based on an older oil on canvas of Saint Francis Church downtown. I am glad I was able to capture the old weathered stone before they painted it all stark white. 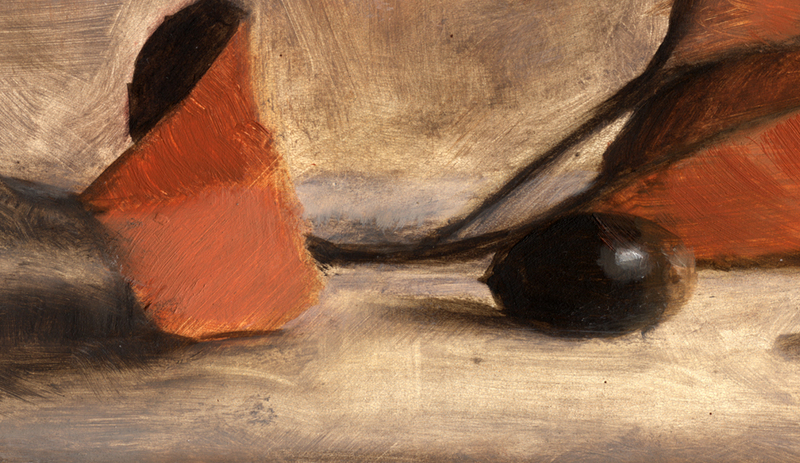 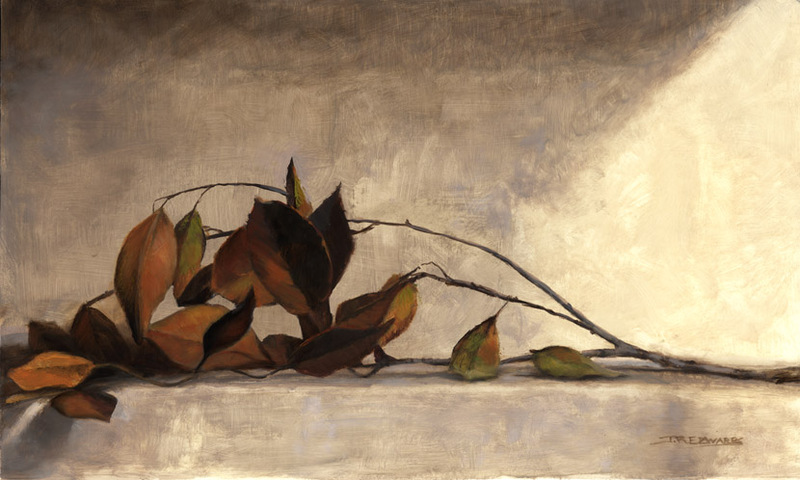 20" x 12" Oil on Masonite - My daughter and I gathered up some interesting still life subjects from the back yard. This is one of four resulting paintings.